Dental implants are an ideal solution for replacing missing teeth, failing bridges or dentures. They are small titanium screws inserted into the jawbone. These implants act as the new root to which a tooth coloured crown is placed. Dental implants have been placed successfully for over 40 years. They can look and feel like your natural teeth, and be a permanent solution to gaps in your mouth. 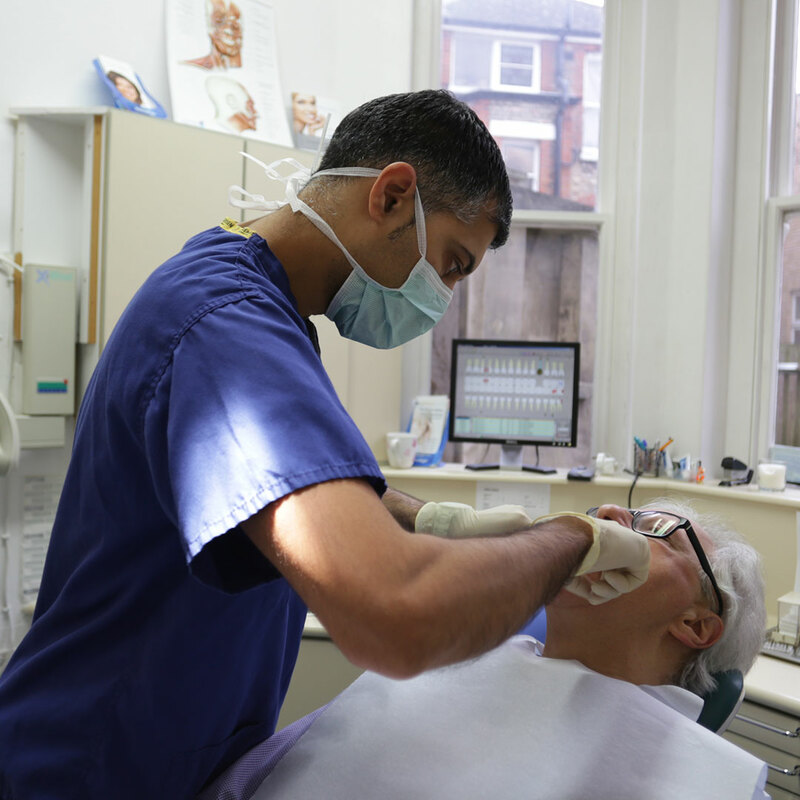 Dr Sanjeev Kapadia has trained as a dental implant dentist with one of the world’s leading Implant Surgeons, Prof. Hilt Tatum and has completed an extensive training programme at The Tatum Institute in Surgical Implantology. Dr Sanjeev Kapadia has also completed an implant year course and gained a certificate form GIFT (General Implant Forum & Training). This is an international implant course giving a thorough knowledge base on the principles and practice of Implantology. We provide a comprehensive range of treatments for implant placements and restorations, and also more complex procedures such as bone expansion, bone grafts and sinus grafts. Dr Kapadia also provides high-standard Implant Dentistry for three other practices in London & Hertfordshire as a ‘Visiting Implantologist.’ He is also a Member of the Association of Dental Implantology UK.